Are you getting ready to host a big party? 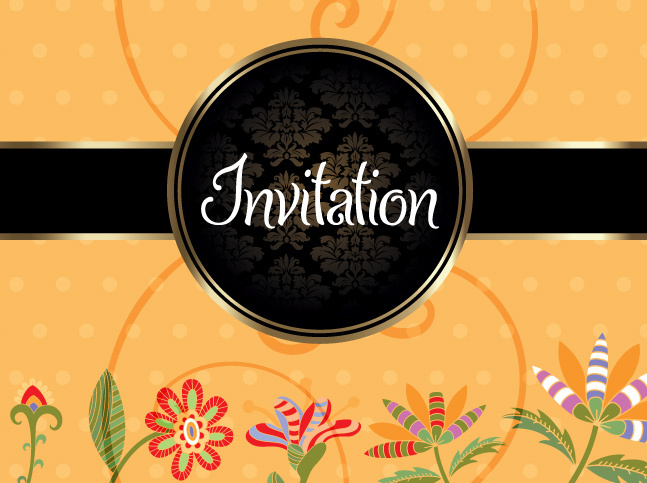 Use this new Floral Invitation Vector Background to create your party invitations. This floral invitation vector has a beautiful mustard color background with bright flowers on top. You'll love the elegant ribbon banner that goes across this floral invitation vector as well. Free for commercial and personal use.